Students in the College of Medicine have access to first-rate classrooms, laboratories and clinical facilities, including the Clinical Skills Teaching Center. Students routinely say their work with standardized patients in the Clinical Skills Center prepares them well for their Board exams. The center features 22 exam rooms, six classrooms, closed-circuit monitoring and state-of-the-art medical equipment. 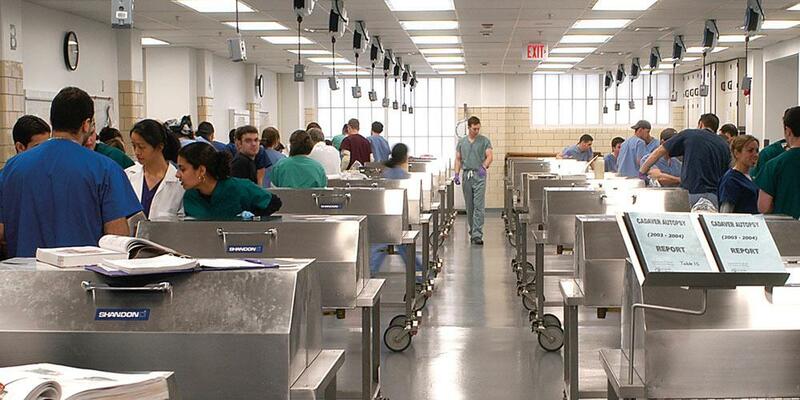 First-year students spend a lot of time in the Gross Anatomy Lab, which recently underwent $3.6 million in renovations. And 2008 saw the opening of the university's second simulation center, the Surgical Research and Training Center, where students practice microsurgery and laparoscopic surgery under realistic conditions. The most prominent addition to SUNY Upstate's landscape, however, is the six-story East Tower addition to University Hospital. The East Tower will house the Golisano Children's Hospital and patient care floors for cardiovascular, neurology and oncology services. The expansion fortifies the already considerable strengths of University Hospital, which boasts Central New York's only Level 1 trauma center and only pediatric emergency department.